With the immense success of this year’s The Hunger Games both critically and commercially, all eyes are on how new director Francis Lawrence will handled the follow-up, The Hunger Games: Catching Fire. The film is slated to begin production in a few short months, and there are a number of new characters from Suzanne Collins’ second entry in The Hunger Games franchise that will be popping up. Probably the two most important new additions are Finnick Odair and Johanna Mason. We previously heard some iffy rumors regarding actors being considered for the former, but now two intriguing names have popped up as possibilities for the Johanna role: Mia Wasikowska and Zoe Aggeliki. Hit the jump for more. Possible minor spoilers for Catching Fire may follow. In order to describe the character of Johanna, I’m gonna have to get into some possible minor spoiler territory for those who haven’t read Catching Fire: there’s another Hunger Games. In all likeliehood, this isn’t a spoiler. Lionsgate will probably be using some of the action oriented scenes from the games in the trailers for Catching Fire, as there aren’t many ‘splosions and fight sequences in the first half of the book. 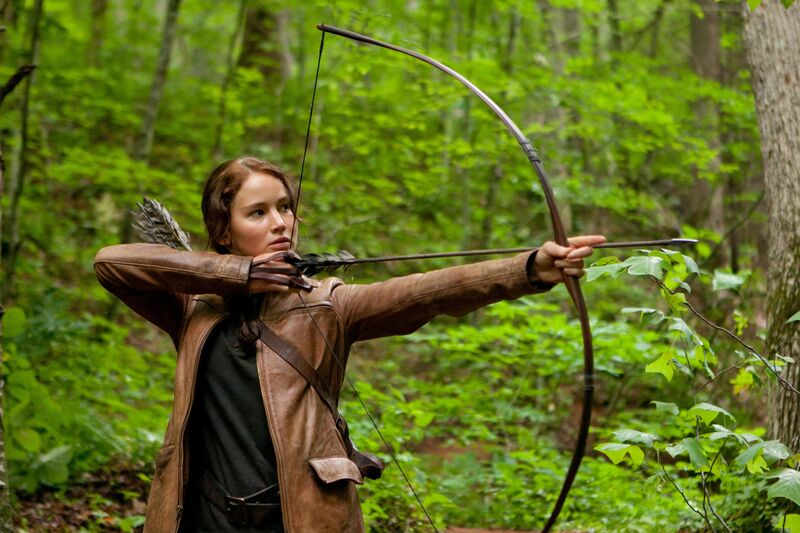 Moreover, the games play only a small part in the context of the larger issues that Katniss has to confront in the story. Johanna is a fierce competitor in the 75th Hunger Games who becomes Katniss’ ally. She’s sarcastic and quite contentious, and her relationship with Katniss is more akin to a younger sister/older sister rapport. She plays an important role not only in Catching Fire but also in the third and final installment of Collins’ series, Mockingjay, so it goes without saying that casting Johanna is a pretty big deal. Sources tell The Playlist that both Wasikowska and Aggeliki are “in the mix” for the Johanna part, as Lawrence is said to be considering both big names and lesser talents. The Playlist was the first outlet to report that Gary Ross wouldn’t be returning to direct Catching Fire, so I’m inclined to put considerable weight behind their story. Wasikowska is an exciting prospect as she’s done swell work in films like Jane Eyre and The Kids Are All Right, but Aggeliki is a bona fide newcomer. She has roles in the upcoming pics R.I.P.D. and Percy Jackson: Sea of Monsters, but we haven’t seen her act in anything yet so it’s hard to gauge who would be a better pick for Johanna. The Playlist adds that both actresses have been in discussions for the part, but Aggeliki could officially sign on in a matter of days. That said, nothing’s certain just yet so Lawrence’s final choice could be someone else entirely. We should hear word soon either way, as production is scheduled to begin immenintley. We haven’t heard anything solid regarding the Finnick role, but my personal pick would be either the previously rumored Garret Hedlund or Weeds star Hunter Parrish. The Hunger Games: Catching Fire opens on November 22nd, 2013.